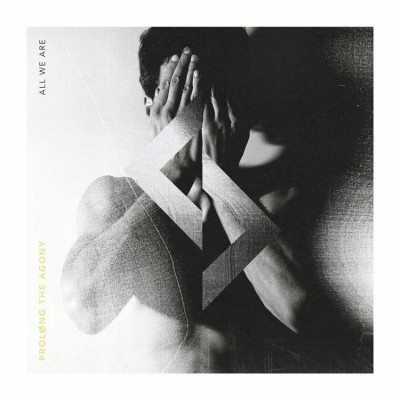 I first heard Prolong The Agony when I was asked to review them at Southampton’s Takedown Festival back in March. Suffice to say, I was stupidly impressed. As the first band of the day, they left an impression that was hard to shake off for the rest of the day, despite some of the best performances I’ve seen in recent years. Not only were they a band that seemed to re-envigorate a tiring genre, their live performance left little to be desired. Energetic and confident, the band showed promise. So, a month on and the boys’ E.P. All We Are is hitting the shelves. Are they as impressive on record as they are on the stage? Starting the release off is the groove-laden Dead Dreams, and what a way to start your record. A mixture of bouncy vocal lines and straight up, iron clad heavy metal riffs accompanied with hypnotic synth come together to create a true fist-pumping track that wouldn’t feel out of place on the main stage of any festival.The extremely memorable lyrics (We Slave/We Slave Down To The Bone/We Close Our Eyes And Dream About Things We’ve Never Known) stand out like a sore thumb here. The confidence I saw on stage is reflected here, with vocalist Larry’s screams hitting the heart like a sledgehammer, already you can hear the raw emotion and intent in the record, and this is just the first track. Up next is Counting The Days, a beat down heavy metalcore number that’s once again driven by the strength of it’s vocals. The breakdown-oriented track gives way to partially clean vocals for an incredibly catchy chorus and riffs that sound like they’ve been ripped straight from Lamb Of God‘s back catalogue. Not only this, but the production on the song is something to behold. If anything, the song belongs to drummer Darren Draper, showcasing his power behind the kit throughout the track as he pummels through it all. The real thing to mention here is that Counting The Days may well be my least favourite track on the E.P., and when your least interesting track is still this good, your listeners are in for a treat. Loved And Lost is, to put it simply, the sign of a band that are already prepared to take on a massive crowd. I mean massive. The song is an anthemic call to arms, carefully written and produced to bring out every emotion hiding inside the listener. Everyone is on top form here, and the song plays out as one of the best I’ve heard all year. A vocal line that almost seems to fight itself through both harmony and backing, everything about this song screams arenas. Big words, certainly, but you really have to hear it to believe it. Smee, Wait & Adlington (Guitars and bass respectively) absolutely shine on this song, with riffs that are bound to stick in your head for months. Loved And Lost is HUGE. Starting with almost Bring Me The Horizon-esque electronic elements, Backstabbers is a scathing, crushingly heavy track that really highlights the diversity of the band. The song is dark, brooding and takes no prisoners, with hateful lyrics and fascinating guitar work throughout. It may be one of the more generic tracks on the E.P., but Prolong The Agony read metalcore so well that it sounds like they wrote the book themselves. A slower pace certainly works here, and I can already hear it being sung back to the boys in the thousands. Finishing the E.P., Loveless is another breakdown heavy vocal oriented journey into the metalcore side of the band once again. Yet another anthem, the band refuse to stop, even as the record comes to an explosive close. Guitarwork here is particularly memorable, with special mention going toward the breaks in the song being filled with hypnotisingly haunting riffs, that grab you as they pull you down. Ending with a pit-destroying breakdown if ever I heard one, the song is begging to be played live, and there’s no doubt that chaos will ensue when that day comes. Crisp, beautiful production, incredibly tight technique and anthems like Dead Dreams and Loved And Lost cement All We Are as one of the best releases I’ve heard so far this year. Whilst it could be argued that a few tracks on the E.P. Veer toward the more generic side of metalcore, the band produce such heartfelt anthems and crushingly devastating riffs that they deserve to be considered among the genre’s strongest assets. In a world where metalcore is a dirty word, it fills me with hope. It’s an encompassing package of everything metalcore promised to be so many years ago, and I’m furiously anticipating the band’s first full length release. If there’s anything you should take from All We Are, it’s promise. Support Prolong The Agony. Nurture their fury. Posted in MusicTagged Album, All We Are, Anthem, Bangers, Circle Pit, Dead Dreams, E.P., Loved And Lost, Mosh, Prolong The Agony, ReviewBookmark the permalink.